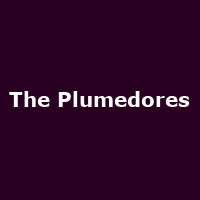 The Plumedores are a three piece blues, folk and roots band from North Manchester, featuring Danny McTague, Elbow guitarist Mark Potter and Dean Casement. "Their music comes from an admixture of delta blues, jug bands, country, folk and rock and roll. Adding harmonica and rich vocal harmonies to electric, acoustic and slide guitars, they use a vintage drum machine as used by J.J. Cale on the song "Call Me The Breeze". Songs are rambling and organic, in non-standard structure, with a raw, stripped back sound, the occasional whisper of psychedelia and an improvised, skiffle feel doing just enough to keep things at the outer edge of 'holding together' and 'falling apart'. Every song is a journey unfolding. Traditional forms are twisted slightly and lovingly to create a frisson between the familiar and unexpected; this makes for a captivating listen - particularly live."